Casinos in Curacao can be found in abundance, and all forms of gambling are legal in the country, which used to be part of the Netherlands Antilles. Now a constituent country of the Kingdom of Netherlands, Curacao (Curaçao) has full authority to legislate in most matters including gambling, with some specific – and unrelated – exceptions. Situated in the Caribbean Sea, Curacao is an important gambling hub, as are several other countries in the region. Curacao was one of the first countries in the world to regulate online gambling. The Curacao e-Gaming Licensing Authority has been issuing online gambling licences since 1996. Online gambling sites who wish to have their services available in Curacao must apply for an online gambling licence. There is a single type of licence that covers games of chance, games of skill (e.g. poker) and sports betting. Curacao currently licenses several online gambling sites from around the world. Financial transactions, however, must be carried out on hardware physically located within the country. Having a Curacao-issued gambling licence does not hold much merit, as gambling regulations are rather lax and the fees are low – which is also why the country is lucrative to first-time gambling operators. Still, the Curacao gambling licence is much more reliable than, say, the data processing “gambling” licence of Costa Rica. While the main targets of Curacaoan casinos are tourists, locals may also play at licensed gambling establishments. 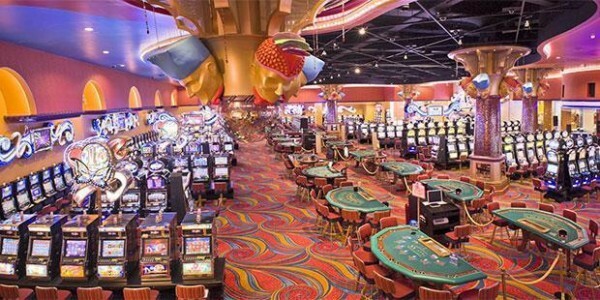 There are several casinos of various sizes throughout the island offering slot machines as well as table games such as poker, roulette and blackjack. Online casino gambling is also legal in Curacao. Operating an online casino in Curacao requires an online gambling permit issued by the Curacao e-Gaming Licensing Authority. In return for a relatively small fee, companies may operate an online casino from Curacao as well as offer their services to locals of the island. Curacaoan gamblers may also play on international casino sites; while this is technically illegal for the operators, the players themselves are not prosecuted. Bingo, while not the most popular form of gambling in the country, is among the games that may be played at licensed casinos in Curacao. Bingo is available at several casinos, including Carnaval Casino and Veneto Casino. Online bingo is also legal in Curacao. Online bingo operators must acquire a gambling licence from the Curacao e-Gaming Licensing Authority. There is no gambling licence tailored specifically to online bingo sites, but rather a general e-gaming licence. Poker is legal in Curacao, and live poker games may be operated in licensed gambling establishments. It should be noted, however, that not all casinos in Curacao offer poker games, and even when they do, there might not be many players present. The best option for live poker games in Curacao is most likely the Marriott Beach Resort and Emerald Casino in Curacao’s capital, Willemstad. Online poker is also legal in Curacao, and the country has granted many online gambling licences to online poker operators. The body in control of online poker is also the Curacao e-Gaming Licensing Authority. Residents of the island may also play on offshore online poker sites available to them. Sports betting is legal in Curacao, but may only be conducted in licensed gambling establishments – that is, casinos. Betting kiosks are available at several of the casinos in Curacao including the Marriott Hotel & Casino and the Bet Plaza Sportsbar. Online sports betting is als legally available in Curacao. The online gambling licence issued by the Curacao e-Gaming Licensing Authority covers online sports betting as well. There are several online gambling companies licensed in Curacao offering online sports betting. Lottery is legal in Curacao, and the “national lottery”, the Landsloterij has existed since 1909, though as the lottery of the Netherlands Antilles. The lottery is used to finance socio-economic, charity, arts and science projects. * Drawings are held once every two weeks, and tickets are available at several hundred land-based retailers. Online play is currently not available. There are, however, several online lotteries licensed in Curacao available to locals and foreigners alike. Operating an online lottery site in Curacao requires an online gambling licence as with online casinos. Use of the Bitcoin is legal in Curacao, and the virtual currency is actually accepted at several establishments – restaurants, for example – on the island. Due to the popularity of Bitcoin and the well-regulated online gambling market it shouldn’t come as a surprise that Curacao hosts multiple Bitcoin gambling sites including a Bitcoin sports betting site, BetVIP. The most well-known Bitcoin casino in Curacao is bitcasino.io. Online gambling is legal and regulated in Curacao. The following online casinos and bookmakers accept players from Curacao. Last updated: 2015. 11. 02. This online gambling guide focuses on the legal status of gambling, casinos, online casinos in Curaçao. The gambling and electronic gambling license issued by Curacao is also dissected.